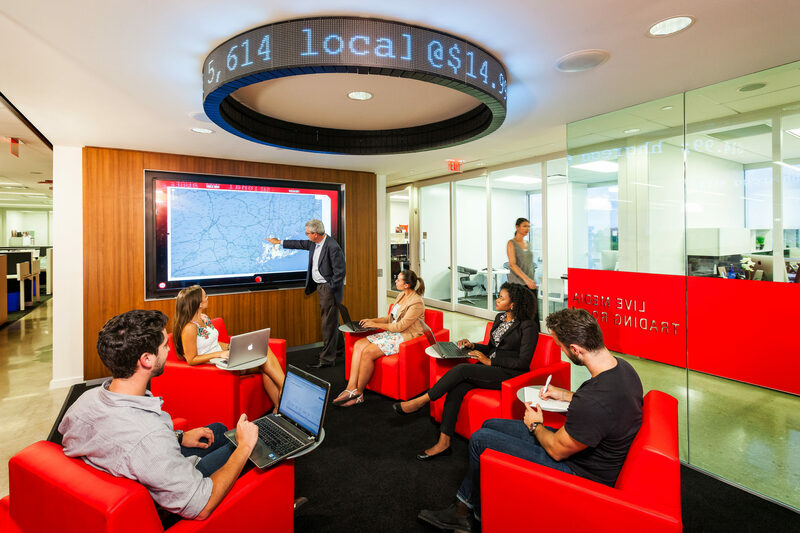 At Gustie Creative, we are on the forefront of Disruptive Retail. Our passion is creating end-to-end sustainable design solutions that work effectively for online-to-offline retailing. We provide full service design, retail design strategy, strategic marketing, project management and technology innovation. We work with you to grow your brand, business, agency or non-profit organization with the benefits of disruptive retail. Visit Services to learn more. 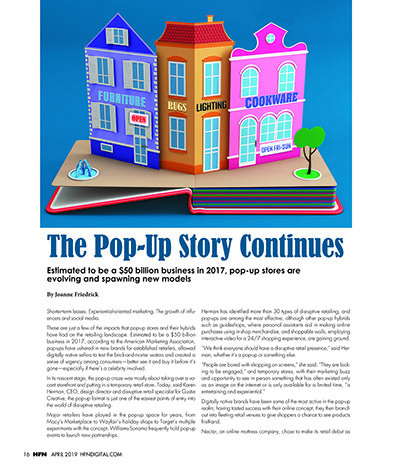 Check out our interview in the April 2019 issue of HFN Magazine in “The Pop-Up Story Continues.” To get started, read our blog Pop Up Retail and Pop Up Hybrids; Types of Disruptive Retail and click the links to the article. 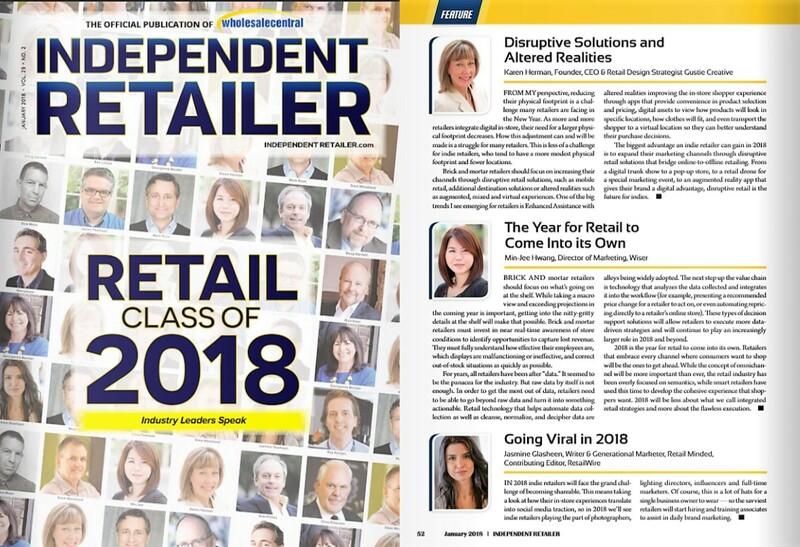 Get to know disruptive retail with us! 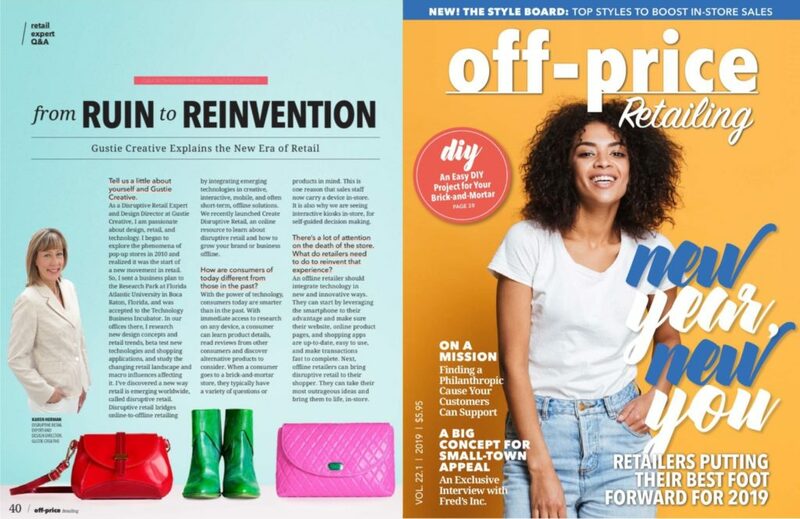 Read from Ruin to Reinvention, Gustie Creative Explains the New Era of Retail an insightful Q&A with Karen S. Herman in Off-Price Retailing Magazine for January 2019. 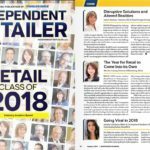 Ask you voice assistant to “Go to PS Pop Up Store” to learn the benefits of a Pop Up Store for your brand or business and then click to read Pop Up’s are Here to Stay; How a Temporary Retail Concept has Become Permanent our popular article on Pop Up Stores for Simply the Best magazine. We are proud to offer signature products to help you grow your brand, business, agency or non-profit organization with the benefits of disruptive retail. 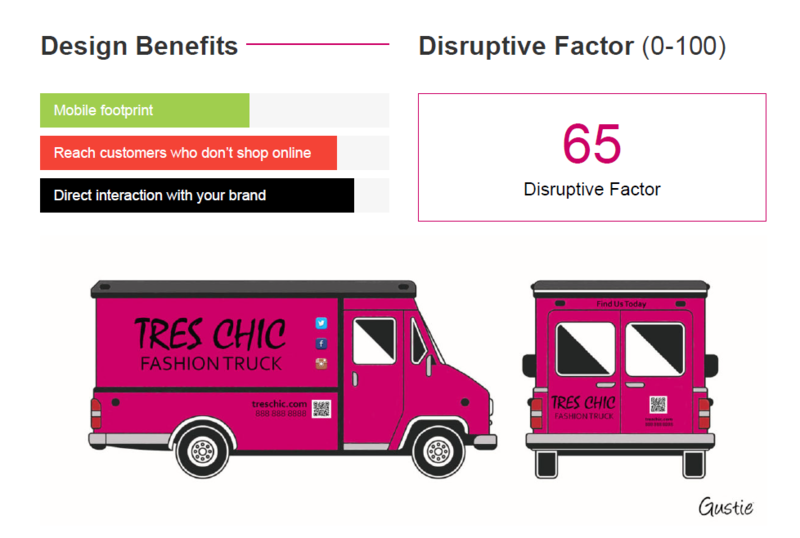 Create Disruptive Retail your go-to online design platform for disruptive retail solutions. 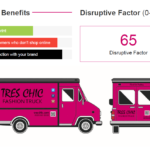 You can choose your solution based on your favorite Disruptive Retail icon, our proprietary Disruptive Factor or top Business Benefits. Visit Create Disruptive Retail today to find out more and join our growing community for free! The Definitive Guide to Disruptive Retail eBooks feature our proprietary marketing strategies, creative design solutions and custom learning tools. Each eBook is a step-by-step guide for you to use to discover how Disruptive Retail can work for you. 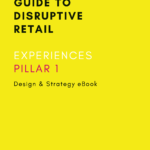 Our first eBook, The Definitive Guide to Disruptive Retail – Experiences will be available for download starting April 17, 2019 and you can pre-order your copy now. 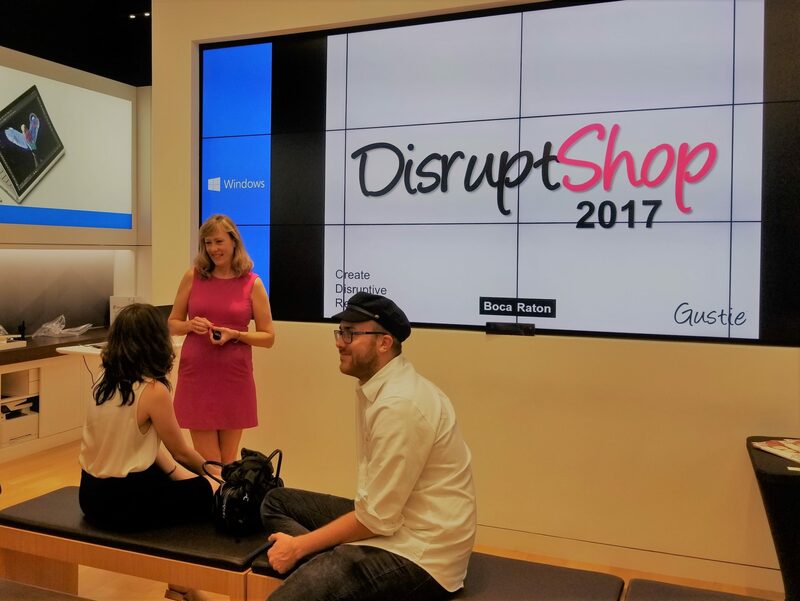 DisruptShops Join one of our on-site or off-site interactive digital workshops and journey into emerging trends and technologies in today’s retail landscape. 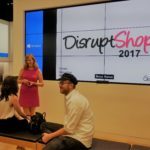 Visit Create Disruptive Retail – DisruptShops for details. Do you have an idea or project to discuss? Contact us! Karen S. Herman is founder of Gustie Creative. She is an experienced commercial designer, professional writer, motivational speaker and digital native. Karen recently launched Create Disruptive Retail and is writing The Definitive Guide to Disruptive Retail eBooks. She hosts DisruptShops in South Florida, throughout the US and in Canada. Karen is a long-time member of the RetailWire BrainTrust. Disruptive retail is a design solution that bridges online-to-offline retailing. In 2010, Karen began to research the phenomena of Pop Up Stores. She found that they were one of many new retail concepts emerging worldwide. These new retail concepts created opportunity for brands and businesses to connect with people directly and move from online-to-offline retailing easily. Karen found disruptive retail emerging in the global marketplace. Go to About Gustie Creative to read our full story. 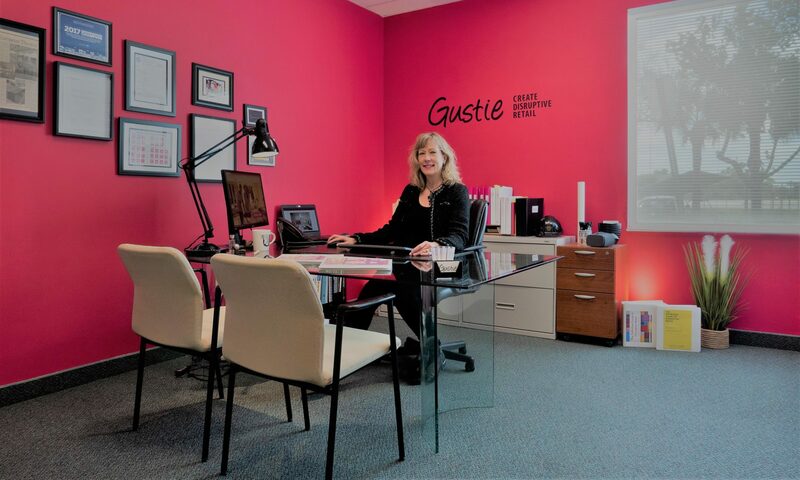 Our clients at Gustie Creative include Startups, Independent Brands, Sole Proprietors, Small Offices/Home Offices, Agencies, Creatives, Non-Profits, Small to Large Businesses, Real Estate Firms, Property Development Companies and Economic Development Teams. Visit Press for full details. Sign Up for CDR News & Views, our free monthly insider update devoted to Disruptive Retail, Design, Strategy and Technology.